Office No. 76, 3rd Floor, City Court, Panchkula – Zirakpur Highway Zirakpur – 140603, Chandigarh, India. 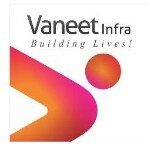 Vaneet Infra People who deal in land know the value of their product because it is on a piece of land that the foundation of a great life is laid. That’s why, we at Vaneet Infra, put in all our experience, passion and precision in delivering the best to our clients.